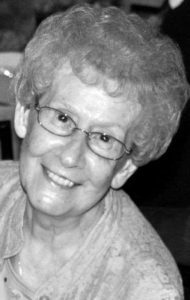 Ella M. Lochonic, 95, of Millersville, passed away on Saturday, February 2, 2019. She was the wife of John F. “Jack” Lochonic, with whom she shared 68 years of marriage this past May 20th. Born in Kinzers, she was the daughter of the late Isaac and Bessie Dunlap Hevner. Ella had worked for many companies over the years such as Slaymaker Lock, Schick, and Armstrong. She had also worked at Murr’s Drug Store and Country Cousin Gift Shop both in Willow Street. She was very involved at St. Mary’s Catholic Church, where she served as an Extraordinary Minister, a lector, taught RCIA, took communion to the homebound and had worked at the church office. Her and her husband were members of the Dutchland Polkateers and she taught polka dancing as well. In addition to her husband, she is survived by her daughters: Patricia A. Lochonic of Virginia Beach, VA and Kathy J. married to Robert Gressley Jr. of Mountville; her 10 grandchildren and 16 great grandchildren. She is also survived by several nieces and nephews. 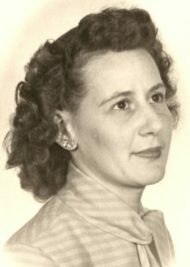 She was preceded in death by her son, John F. Lochonic III, and her siblings Mary Eshbach, Lillian Hevner, John Hevner, Lester Hevner, and Harry Mendenhall. Friends will be received on Friday, February 8, 2019 at St. Mary’s Catholic Church, 119 S. Prince St., Lancaster, PA from 9-10AM, with Mass to follow at 10AM. Interment at the convenience of the family in Indiantown Gap National Cemetery. In lieu of flowers, please make contributions in Ella’s memory to Resurrection Catholic School, 521 E. Orange St., Lancaster, PA 17602. On behalf of my father Jack Muldowney we want to extend our condolences to you Jack and your family in the loss of your wife Ella. Your kind words were appreciated about my father. We remember meeting you and your family. You guys had some good times together! We remember the Polka Dancing Lochonic couple! God Bless! I’m sorry to hear of Ella’s recent passing. My parents, John and Rebecca Conroy, were friends of hers. I was so saddened to see my dear old neighbor’s face in the paper this morning.She was one of a kind. Her faith has taken her to a higher realm now. I will always remember her when I look at the piano picture she brought back for me from a trip that she took years ago. She was a wonderful lady. Oh how she loved her dogs. Jack please know that we are thinking of you and sending peace to you and your family. I was very sorry to hear about your family’s loss. Please accept my sincerest condolences.